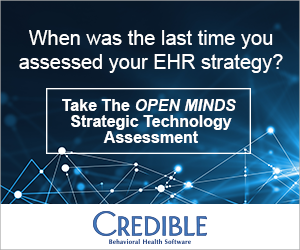 This presentation, sponsored by the Echo Group, was given by Jason Cagle, HIT Manager, Monarch, and Chris Thompson, Senior Clinical Operations Director, Monarch, at the 2015 OPEN MINDS Strategy and Innovation Institute in New Orleans, LA, on June 17, 2015. In the presentation, Jason Cagle and Chris Thompson shared how Monarch was able to define the business challenge and opportunity, have the vision to overcome the challenge, create a lean methodology to seize the opportunity, create the efficiencies required to scale and deliver it, and identify the specific key performance indicators (KPIs) required to measure it . . .